It's a well-known fact that everyone on this planet wants to be BFFs with Charlie Puth. Although, for some people, the stress of trying to become his bestie is a bit too real. So when the 'How Long?' hitmaker swung by the Official Vodafone Big Top 40, things escalated real quick. > WATCH: Prepare For Festive Feels As Camila Cabello Serenades Us With Justin Bieber's Christmas Album! While chatting to Marvin Humes and Kat Shoob, some of Puth's biggest fans pitched him a few questions, including "Who would you pick between Liam Payne and Shawn Mendes?" We could easily see Charlie going into a career in politics if he should ever want to, because the way he side-stepped that question was nothing short of professional. > Where's Charlie Gonna Appear In The Chart? 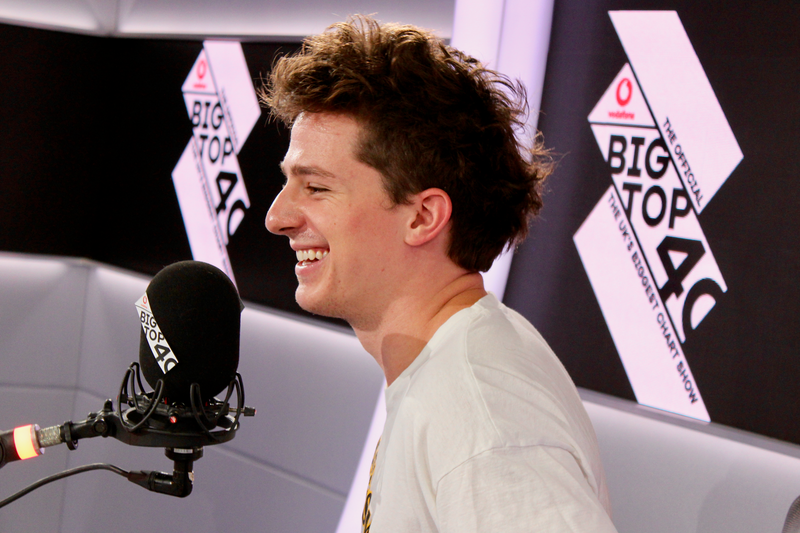 Check Out The Official Vodafone Big Top 40 Now To See!